I want to let you know how much we enjoyed our recent ‘Scenic Norway’ escorted tour. Every day was so well organised and we got to see so many different sights that we forgave the early starts!! Our guide was most knowledgeable and went out of his way to ensure we didn’t miss anything. Hotels and food top class. I would readily recommend this tour to anyone interested in similar trip. Well done! A wonderful holiday. Thank you so much for organising it all so well. The holiday was everything I had hoped for and more. I will be recommending Hurtigruten and Project Travel to my friends and family. 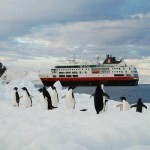 My Antarctic trip was superb in every aspect – comfort of ship and hotels, quality of service in same. 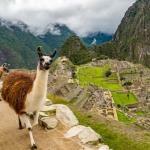 Likewise walks and excursions – very well organised. I can recommend it without reservation. We would like to thank you very much for your excellent organising of our fantastic adventure to Norway. Everything was so easy for us – thanks to your faultless booking and provision of instructions, vouchers, information booklets on the cities and the location of accommodation every step of the way. We are very impressed. We had a super holiday and thank you for your help – I will certainly be recommending this trip to everyone I meet. Just wanted to say thanks for your excellent service. Your pack contained all the info we needed and was very easy to follow. Hope to travel with you again in the future. I had the most wonderful time on the Hurtigruten cruise to Antarctica. From start to finish everything was handled very professionally and the crew and staff on the ship were extremely helpful and well informed. I had the absolute best trip ever and am overwhelmed by the tremendous beauty of both the Norwegian scenery and people, as well as the spectacular Northern Lights.I just wanted to compliment you on your advice and the extra care you clearly take of clients. I met a lot of other travellers who booked elsewhere and they didn’t know in advance about the excursions, the clothing requirements, photography advice and more. Based on your excellent pack and correspondence, I was prepared. Not many managed to do as much as I did. I will never forget it – So thank you! We had a simply great time. From the moment we landed in Oslo the organisation was perfect. Everything about this holiday was ‘spot on’. Thanks for putting together such a great 8 days. Guy Tominaga of Project Travel is unique. In these days of impressionism and spin he shines out as a true professional. I would unreservedly recommend Project Travel to any discerning traveller. Just wanted to say thank you for the wonderful organisation for our trip, it was faultless. We had a fantastic time, tennis was super and the place was just perfect. Will be highly recommending it! Last night we were treated to another fantastic night of Aurora Borealis. The sky above our heads were full of vivid green lights rolling through the skies. It really is something everybody should see. Just a note of thanks, we had a fabulous time. The itinerary was perfect everything went so smoothly. We even made it onto the [Kirkenes] Snowhotel Instagram page for Paddys day! North cape [is a] brilliant trip [which we] also recommend. Salmon fishing in Norway was amazing; the county is stunning, the food wonderful, the rivers challenging. I’ll be back! Norway is drop dead gorgeous. This self-guiding tailor-made individual package was just what I wanted! I have never before received such comprehensive documentation. Following these directions, it is impossible to get lost or miss a connection! I really enjoyed the trip with its perfect and professional organisation. Brilliant! We had a fantastic holiday in northern Norway, all your recommendations for the itinerary were spot on, all the reservations and connections worked perfectly! Thanks for putting the programme together for us, I would certainly recommend you to anyone else interested in exploring that part of Norway. Thank you for organising the trip to Svalbard. It was a very enjoyable trip and well worth it. I would highly recommend the island. The ‘Longyearbyen in a Nutshell’ trip was very informative and interesting. Camp Barents was good, but no Lights. The Snowcat was interesting, would have been great if the Lights were visible. Overall a very good trip. 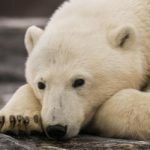 I am thinking of going back to Svalbard during the summer and doing a short cruise around the island, to see some wildlife. We [had] a marvellous Hurtigruten based trip … Your attention to detail, information pack, and guidance on cabins was particularly appreciated. The Oslo-Bergen train is an amazing experience. Spending six nights on board what is also a working ship, with the pace and rhythm that dictates, was unique…The hotels really hit the spot, especially Thon Opera in Oslo which was a great start to the trip. Your advice to stay in a [Gamme] cabin in Kirkenes was also spot on. Thank you. We had a fabulous trip to Tromso. The hotel was great as was the Northern Light watching and the whales. Your recommendation to go to Ongajok was an excellent one .The atmosphere was lovely with the meals served around one big table, excellent food, very pleasant international company with the other guests, and a beautiful bedroom with the facility to light your own log fire. The best part was having the Northern Lights on your doorstep. The Sorrisniva Ice hotel was a very enjoyable experience. All in all a fabulous holiday. Thanks for all your help and advice. We returned from our wonderful trip to Norway, the complete package was perfect. Hotel choices were really good, location central, fantastic breakfasts. WOW! The Flam train / Sognefjord trip was really special, so glad we split it over two days, it gave us time to go hillwalking in Balestrand. The Kviknes Hotel is a gem.Thanks for the guidebooks, and extra local tips, much appreciated. We had a fabulous time in Norway. Really spectacular holiday. Thank you so much for all your organising – it was seamless and very easy for us in all it’s aspects. A special shout out to the Northern Lights tour provider and to Malangen Resort, in particular the dog sledding crew. Thank you for a truly remarkable holiday. It was fantastic. We both appreciate the level of attention that Project Travel put into organising the trip in all its detail. How did you organise those lights?!!! A really marvellous trip. This was a trip I had wanted to do since early in our marriage years, back in the sixties. It was definitely worth waiting for. We both enjoyed the excursions which we had pre booked. Let me also say all the staff on MV Lofoten were excellent. Please pass on our sincere thanks to them for giving us such a special holiday. We have not a single complaint or even a thought of one! Read more about this client’s experience taking a voyage on one of Hurtigruten’s older ‘Classic’ ships in this special guest blog. Project Travel are Norwegian experts and they were very good, I must say. I’d recommend them to anybody. Thank you for doing such a great job organising our trip to Norway – and helping to make our dreams come true. Everything went seamlessly thanks to all your arrangements. We were delighted with the excellent hotels, flights and transfers. The Hurtigruten experience was wonderful. We thoroughly enjoyed our trip! We will definitely be recommending you to anyone who wants to do a similar trip. Everything went well on our [Tromso] holiday and we had a great time. The transfer and vouchers you supplied all worked well and everything was easy to locate. The hotel is in a great location and is very comfortable. We loved the dog sledding … We were very fortunate to have seen a great display of the Northern Lights, thanks to our excellent guide and bus driver. We also enjoyed our dinner cruise and liked the fact that it was a small group and the fish meal was delicious. Thanks for your help in organising the trip for us. I would highly recommend it. I did all trips you recommended and have to agree with every one of them. The “aurora” is my passion and Tromsø was the best trip so far. Thanks a million for all your help with my trip to Norway – it was truly the trip of a lifetime!!! Everything about it was superb – the ship, the scenery, the people and of course the icing on the cake, the Northern Lights on my last night, I was in heaven! You really did a great job of organising everything and getting rid of all the hassle! A really marvellous trip. This was a trip I had wanted to do since early in our marriage years, back in the sixties. It was definitely worth waiting for. We both enjoyed the excursions which we had pre booked. Let me also say all the staff on MV Lofoten were excellent. Please pass on our sincere thanks to them for giving us such a special holiday. We have not a single complaint or even a thought of one! Read more about this client’s experience taking a voyage on one of Hurtigruten’s older ‘Classic’ ships in this special guest blog.